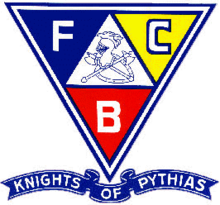 The Knights of Pythias is a fraternal organization. and secret society  founded at Washington, DC, on 19 February 1864. The Knights of Pythias was the first fraternal organization to receive a charter under an act of the United States Congress.It was founded by Justus H. Rathbone, who had been inspired by a play by the Irish poet John Banim about the legend ofDamon and Pythias. This legend illustrates the ideals of loyalty, honor and friendship that are the center of the order. Early in the group’s history, when a man was inducted into the Knights of Pythias he received a ceremonial sword. Such swords might be given to a Pythian by family members, business associates, or others as a token of esteem. In recent decades, rather than require each member to own a sword, the local chapter maintains a collection of swords for use by its members. Long, narrow swords are generally used in public during parades and drills, while short swords are used in displays. Markings on swords varied widely. Most swords were inscribed with the acronym “FCB,” which stands for the Pythian motto (“Friendship, Charity, Benevolence”). Images on swords were also somewhat common, and included: A man, woman and child (symbolic of Pythias saying good-bye to his family); a man looking out of a building, with a group of people below (symbolic of Damon’s pending execution); a man between some pillars, pulling them down (similar to Samson destroying his enemy’s temple); or various types of weapons (swords, axes, hammers, etc.). A full Knight of the Pythian order often inscribed his sword with the image of a knight’s helmet with a lion on the crest. Many also carried the image of a sprig ofmyrtle (the Pythian symbol of love) or a falcon (the Pythian symbol of vigilance). The structure of the Knights of Pythias is three tiered. The local units used to be called “Castles”, but over time came to be called “Subordinate Lodges”. State and provincial organizations are called “Grand Lodges” and the national structure is called the “Supreme Lodge” and meets in convention biennially. The officers of the Supreme Lodge include the Chancellor, Vice-Chancellor, Prelate, Secretary, Treasurer, Master at Arms, Inner Guard and Outer Guard. The order’s auxiliaries are the Pythian Sisters, and two youth organizations: the Pythian Sunshine Girls and the Junior Order of Princes of Syracuse for boys. Membership has historically been open to males in good health, who believe in a Supreme Being. Maimed individuals were not admitted until 1875. Members are accepted by blackball ballot. In the early 1920s the Order had nearly a million members, however by 1979 this number had declined to less that 200,000. In 1877 the Order adopted an optional fourth degree, called the Endowment Rank, which provided fraternal insurance benefits. In 1930 this department split from the Knights of Pythias and became a mutual life insurance company, later known as the American United Insurance Company. I declare upon honor that I believe in a Supreme Being, that I am not a professional gambler, or unlawfully engaged in the wholesale or retail sale of intoxicating liquors or narcotics; and that I believe in the maintenance of the order and the upholding of constituted authority in the government in which I live. Moreover, I declare upon honor that I am not a Communist or Fascist; that I do not advocate nor am I a member of any organization that advocates the overthrow of the Government of the Country of which I am a Citizen, by force or violence or other unlawful means; and that I do not seek by force or violence to deny to other persons their rights under the laws of such country. The Order provides for “worthy Pythians in distress” and has given aid to victims of national or sectional disasters. It runs camps for underprivileged youth and homes for aged members. It has sponsored scholarship funds, blood drives, highway safety programs and the Cystic Fibrosis Research Foundation. 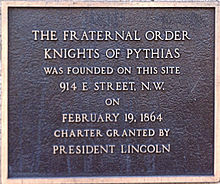 After a black lodge was denied a charter by the Knights of Pythias’ Supreme Lodge meeting in Richmond, Virginia on March 8, 1869, a number of African-Americans who had been initiated into the Order formed their own Pythian group, the Knights of Pythias of North and South America, Europe, Asia and Africa. 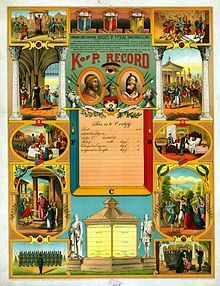 By 1897 the KPNSAEAA had 40,000 members, with Grand Lodges in twenty states and other lodges in the West Indies and Central America. It distributed $60,000 worth of benefits annually and had a woman’s auxiliary and uniformed rank. The Grand lodge of Ontario was instituted on April 8, 1872. Rowena L Rooks composed “K of P grand march [for piano]”, which was dedicated to Collin H. Rose, Grand Chancellor, the officers and representatives of the Grand Lodge K of P of Ontario, Canada. The march sheet music, which was published in London, Ontario by C. F. Colwell, c 1876, was illustrated with the Knights of Pythias emblem and lATIN motto, ‘Amico Fidus ad Aras’ ‘True friends are a refuge’. In 1892 the Supreme Lodge ruled that the work of the order would only be conducted in English. This upset some members who were accustomed to using German. After this ruling was reiterated at the Supreme Lodges of 1894 and 1895, a number of German speaking Pythians split off and formed the Improved Order, Knights of Pythias at a convention in Indianapolis in June 1895. The new order was reportedly not very popular, and there was a movement toward reconciliation a few years later. A.A. Ames, Mayor of Minneapolis. Franklin D. Roosevelt, U.S. President, who joined in 1936, during his presidency. Frederick Hinde Zimmerman, banker, businessman, and founder of the Grand Rapids Hotel. Colton Overcash, the youngest Chancellor Commander to preside over a Pythian Lodge in North Carolina. Kin Canada (formerly the Kinsmen and Kinette Clubs of Canada) is a secular Canadian non-profit service organization that promotes service, fellowship, positive values, and national pride. Kin Canada is an organization whose members comprise Kinsmen, Kinette and Kin Clubs (service clubs) located inCanada. Membership is open to all persons regardless of race, colour or creed. Around 7,000 members belong to about 500 Kinsmen, Kinette and Kin clubs from coast to coast. Kinsmen clubs are predominantly male-only while Kinette clubs are predominantly female-only. Kin clubs have a mixed membership of men and women. The Association was founded in Canada and there are no clubs outside of Canada. In 1920, Harold A. Rogers, known in Kin Canada circles as “Founder Hal”, founded the first Kinsmen club in Hamilton, Ontario. Rogers, a 21-year-old, had just returned from World War I and his father, a well-known Rotarian, encouraged him to join the Rotary Club. Rogers was rejected because the Rotary Club would not allow two members from the same business establishment. Not a person to be outdone, Rogers decided to create a new club. As a result of his initiative, a small group of like-minded men gathered for a dinner meeting on February 20, 1920 and formed what became known as the Kinsmen Club of Hamilton – Canada’s first Kinsmen Club. British Columbia minister Rich Coleman. Newfoundland and Labrador MHA, MP, 12th Lieutenant Governor of Newfoundland and Labrador John C. Crosbie. Senate of Canada MHA, MP, Former Liberal Senator for St. John’s East, Newfoundland and Labrador Eric Cook. Newfoundland and Labrador MHA, Former Leader of the Liberal Party of Newfoundland and Labrador Len Stirling. Newfoundland and Labrador MHA, 9th Mayor of the City of St. John’s, Newfoundland and Labrador William G. Adams. Each club raises funds and determines how to spend those funds in its community. Together, the clubs raised CAD $18.32 million in the 2010-2011 Kin year. The Kinsmen Field House, a sports venue in Edmonton, was created with Kin funding. Since 1964, Kin Canada has supported Cystic Fibrosis Canada, raising as much as CAD $1 million a year for cystic fibrosis (CF) research and treatment. To date, Kin have raised more than $39 million for CF. This makes Kin the country’s largest single fundraiser for cystic fibrosis. Kin Canada Bursaries, a program of the Hal Rogers Endowment Fund, provides financial assistance to eligible persons in their quest for higher learning. Kin Canada established the Hal Rogers Endowment Fund upon the passing of founder Hal Rogers. The Kin Canada Foundation is an incorporated and federally chartered charitable organization established in 2005 to help Kin Canada achieve the objective of “Serving the Community’s Greatest Need”. The Foundation’s primary goal is to work hand-in-hand with Kin Canada to help resource and develop many of the programs provided for the benefit of the members across Canada. The Kin Organ Donor Awareness Campaign (Kin-ODAC) was established in 2001 at National Convention to improve awareness and education about the importance of organ donation across Canada. Telemiracle is a telethon organized by the Kinsmen and Kinettes in Saskatchewan, Canada for the benefit of the Kinsmen Telemiracle Foundation, a Kin Canada affiliate in Saskatchewan. Initially broadcast on both CTV and CBC affiliates in Saskatchewan, it is now broadcast, commercial-free, exclusively on the province’s CTV stations. The first telethon, in 1977, raised more than CAD $1 million, which at the time was considered a record for per capita telethon fund-raising in a 20-hour period (the province had a population of only about 1 million people at the time). The telethon passed the $2 million mark for the first time in 1983. And in recent years, the telethon has routinely raised between $3.0 and $3.5 million each year. The Independent Order of Foresters (IOF) is a fraternal organization, now based in Toronto, Canada, and operating under the brand Foresters. Foresters traces its origin to a British Friendly Society, a mutual organization caring for the sick. The original Foresters groups allegedly banded together for mutual aid and protection in 14th-century England, in or near the ancient royal forests which belonged to the monarchy. Although the older history cannot be proven, there was a society called the Royal Foresters in the 18th century. Membership originally was gained by combat, first with quarterstaffs, then with swords and finally with cudgels, until initiation by combat was abandoned in 1843. In 1834 the Royal Foresters formed a Friendly Society, the Ancient Order of Foresters (AOF). The IOF in the United States became independent of the AOF in 1874, and as of 2014 operates a separate UK division, Forester Life, based in Bromley. The expansion of the Independent Order of Foresters (IOF) into Canada in 1875 is attributed to a prominent doctor and community leader, Oronhyatekha. OfMohawk descent, born in 1841 at Six Nations near present-day Brantford, Ontario, Oronhyatekha (“Burning Sky”) was baptized Peter Martin and later attended Oxford where he became an MD. Dr. Oronhyatekha held the office of Supreme Chief Ranger (now called “International Fraternal President”) from 1879 until 1906; he died in 1907. By the early 1890s he had successfully transformed the Foresters into one of North America’s leading fraternal benefit societies. Foresters membership reached 257,000 in 1906. Through the 20th century it amalgamated with various other fraternal organizations, including the Ontario part of one of the oldest, the Ancient Order of United Workmen. Like other friendly societies and fraternal organizations of the time, Foresters helped transform the insurance industry by extending insurance benefits to the average working family. 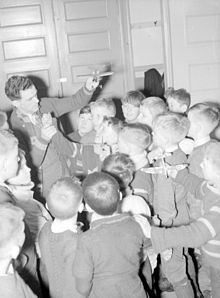 In addition to admitting women as full members, Foresters provided orphan benefits to the children of deceased Foresters members – benefits that are still available today as part of Foresters membership. Historically, Foresters has also actively helped communities in need. As of 2014 Foresters supports various community causes in Canada, the US and UK, through direct investment in national and local community partnerships, branch funding and educational scholarships. The Canadian Fraternal Association is a trade association based in Waterloo, Ontario, for fraternal benefit societies in Canada which engages in advocacy on their behalf as well as providing services. Fraternal benefit societies became popular in Canada in the 1870s and 1880s, representing a quarter of all the insurance sold in Canada by the time the CFA was founded in 1891. The original goal of the Association was to promote the financial solvency of its members, a goal that became more important after federal and provincial governments passed laws that required them to adopt sounder actuarial policies in the first decade of the twentieth century. By 1979 fraternal benefit societies only represented two percent of all life insurance sold in Canada. Nevertheless, the eighteen fraternal orders that made up the CFA accounted for ninety percent of all Canadian frateranlists. The organization was founded in 1891, at which time nearly a quarter of all life insurance in Canada was sold by fraternal organizations. That percentage had declined by tenfold by 1997. It represents fraternal organizations with approximately 400,000 Canadian members. These fraternal organizations offer financial products and services such as insurance, savings and investment vehicles as well as educational programs, volunteer services and social activities.